Wine - DO Empordà There are 11 products. The peculiar geography of Empordà, which combines sea and mountains, and the Mediterranean climate define the personality of the wines from this DO. Heat stroke is high and rainfall is remarkable; acidic soils favor the birth of quality wines; the vineyards, to avoid being damaged by the north wind, grow a few centimeters from the ground and ensure good health status. 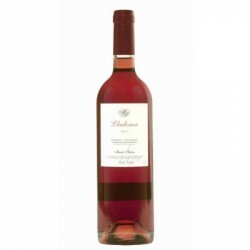 Pink wines from this DO are made with grape varieties of carignan, grenache, they are fruity, moderate and very tasty. Blacks are made with grenache or recommended as the samsó and are fruity and light varieties. The whites are made with Macabeo and white Grenache, and are fresh and tasty. Cabernet Sauvignon (45%), Grenache (6%), Carignan (38%), Syrah (11%) Aged 12 months in French oak barrels of medium toast Allier and light. Color cherry ripe. Intense, spicy, balsamic, ripe berries, macerated berries, well integrated wood. Tasty, powerful, full, structured, elegant and balanced. 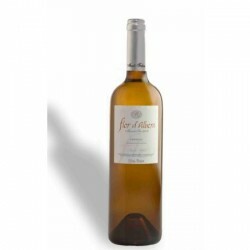 White wine Flor poplar DO Emporda.100% Muscat, vintage 2008, its aging 12 months in French oak barrels.Original scent of herbs with vanilla combine nicely with the delicate floral and fruity fragrance of the Muscat variety, combination saccentua in the mouth and in the last taste. Long and persistent wine is well structured with a touch volume and interesting. Oratori of the winery Marti Fabra Empordà DO. 50% Grenache, 20% Carignan, 30% Cabernet Sauvignon.2007 vintage, aged for 12 months in underground deposit. Deep cherry color, elegant aroma of red fruit liqueur, licorice, mineral tones. 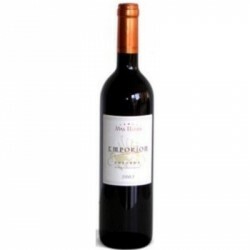 The palate is silky, with a marked freshness and great expression, long and smooth aftertaste. Very suitable for sausages, beef, poultry, pasta, cheese. 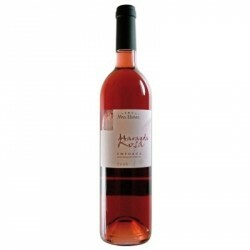 Winery Martí Fabra D.O.Empordà).Blend: 100% Garnacha Vivid pink poppies with purple reflections, strong aromas of roses and red fruits, fleshy palate is broad, fruity and fresh, with a long, flavorful finish. Very suitable for appetizers, rice, soup, vegetables, pasta and white meat. 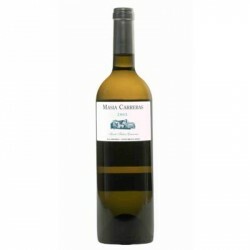 White Grenache (80%), Macabeo (10%), Rosanne (10%) 13.5% Vol Tasting notes: Bright straw color. Aroma White tropical fruits, banana, pineapple, apple. The palate is fresh, fruity and light. Suitable for appetizers, cheeses fresh vegetables and salads, seafood, fish, fowl and rice. Grenache (60%), Merlot (40%) 13.5% Vol Tasting Notes: Color bright strawberry. Aroma of ripe fruit (strawberry, banana, currant ...). The palate is fruity, fresh and persistent. Suitable for appetizers, cheeses, salads and all kinds dentrants, seafood, fish, white meat, fowl and rice. Masia Carreras (White) D.O.Empordà). 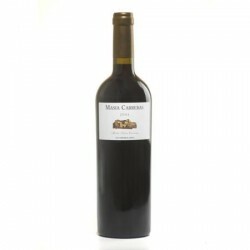 Carignan 40% white, 30% red Carignan, 10% Grenache, 10% red Grenache, 10% Picapoll.Aged 12 months in French oak barrels. It is a complex nuances dherbes wine, peach with a mineral very unique. 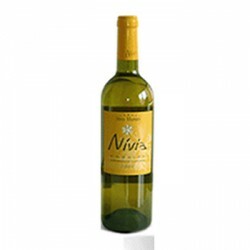 The palate is very fresh and creamy texture, concludes with an extremely long finish with hints of honey and citrus. White Grenache (65%), white Carignan (35%) 14% Vol Tasting Notes: bright golden yellow. Aroma expressive, intense varietal notes of creamy oak. Tasty, balanced, persistent, with ripe fruit and varietal expression. 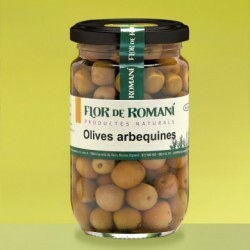 Suitable for seafood sauce, smoked charcuterie, fresh and cured cheeses, vegetable dishes and warm salads. It can also be a good accompaniment to white meats and rice. White Wine, Green Albera Celler Marti Fabra D.O. 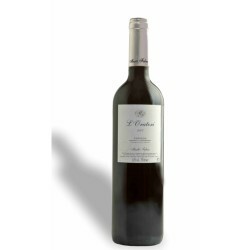 Emporda.Blend: 70% Grenache, 20% Muscat, Chardonnay 10% Pale yellow with green hues, powerful aroma of tropical fruit which combine nicely with spicy and herbs in the mouth is large, fresh and great expression, with a long finish. We recommend this wine to accompany appetizers, seafood dishes and all kinds of fish.